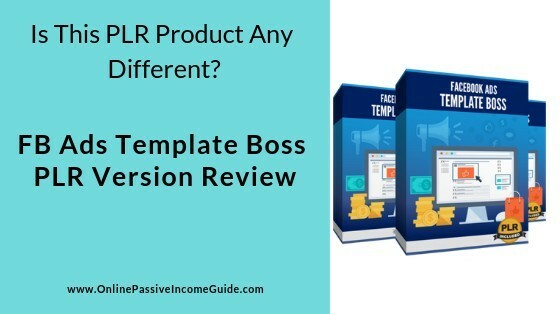 You probably have already tried many PLR products and found them out of value or of a very low quality and you are wondering if this FB Ads Template Boss package can be different from them and can actually help you make money online. Join me in this Facebook Ads Template Boss PLR Review in order to know the value of this product and discover the 4 methods of making money with it. As of June 2017 Facebook had more than 2 billion daily active users. 83% of women & 75% of men who have access to the internet use Facebook. People aged 18-29 are the most prevalent Facebook users. People access Facebook an average 8 times per day. 19% of time spent on mobile devices is on Facebook. 44% of SMB marketers plan to spend money promoting Facebook video content in (2017, imagine now!). Images account for 75-90% of Facebook advertising performance. The last three stats in the list above are enough to show you how huge the potential from using Facebook ads in the online marketing space. But in order to make the best out of each ad that someone creates on Facebook, you need to create a good user experience, and this includes the visual content that people like. And this is where FB Ads Template Boss supposed to help you. And if you think that you don’t need to purchase the FB Ads Template Boss because you don’t have a business to promote on Facebook, or because you don’t plan to use Facebook ads in your marketing efforts, then continue reading until you reach the section “How To Make Money With FB Ads Template Boss” below and I will give you some suggestion on how to use it in order to make money. What Is Facebook Ads Template Boss – PLR Version? Facebook Ads Template Boss is a professional Done-For-You PLR (Private Label Rights) package that consists of more than 900 Facebook Image Ad Templates that you can use in your advertising campaigns or even resell under your name and get the full price for yourself. These templates can be used as they are and can also be easily edited using PowerPoint without the need to use expensive or complicated tools and without the need to learn photoshop. This is the main product that you get when you purchase FB Ads Template Boss. But in order to make the best out of it, there are some other components that will help you in editing the available templates and customize them to your own needs or to your clients’ needs if you are a freelance graphic designer. This is a package of more than 900 templates for image ads that are professionally designed in order to give a good user experience and increase the reach of your Facebook ads, engagement and conversions. These templates cover many different niches and you can start using them as they are, or you can modify on them using Microsoft PowerPoint in order to make them unique and customize them to your specific brand, offers, products, clients, campaigns, events, …etc. And as I mentioned, since you can modify on them, then you can use them even for campaigns for sub-niches of the main niches mentioned above. Following demo shows you how you can modify any of the templates using nothing but Microsoft PowerPoint. No need to spend more money on Photoshop or deal with the complicated software programs. As I mentioned earlier, you can modify any of the templates that are provided in module 1 above, and in order to do so, in addition to changing the text in the template, you might need to change some of the elements inside the template and add photos for people or for objects. And this is why you are provided with transparent images for people and objects that you can use and add to the templates in order to further customize them per each campaign/client requirements. Since the FB Ads Template Boss is a PLR product, which means that you can make money by re-selling it as it is under your name, then you need to use a cover for your product that you can edit in order to place your name on it. These 10 professional covers can be edited with MS PowerPoint in order to allow you customize them and offer selling the FB Ads Template Boss under your name. Professionally designed banners that can be edited with MS PowerPoint in order to use them as banner ads on your website or on others’ websites in order to promote the FB Ads Template Boss package as yours. In addition to the transparent images for people and objects mentioned earlier that you get in the main package, you also get +150 transparent images for people only as a bonus. You can use these images for your own modification on the templates, or you can offer them as a bonus to others who purchase your products or services. A training or guide on how to make money leveraging the FREE organic traffic from Facebook groups. A guide or training material on how to use some ninja tactics in your Facebook ads. Training on an affiliate marketing method that is supposed to help you make money without paying for traffic. A training program that teaches you how to make money selling printable products. How Does Facebook Ads Template Boss Work? Choose a template for the ones provided. Edit the template image, text and colors to match your own offer, brand, product. You can now use it in your campaign or sell the design to others. How To Make Money With FB Ads Template Boss? Use the templates in your FA ads campaigns, whether as they are or by modifying them, whether you are an affiliate marketer, dropshipper, local marketer, or you promote your own business or product. Sell The whole main package as your own product under your name, allowing others to use it for their own campaigns. If you are a graphic designer, you can sell your service on marketplaces such as fiverr.com for designing FB ads images for others. You can offer the whole package either as an up-sell or as a bonus to a product of your own that you sell in order to maximize that AOV (average order value) and drive more buyers. Who Is FB Ads Template Boss For? Digital Product Creators & Publishers. Social Media Marketers & Managers. P.S. If you don’t fall into any of these categories, then check the last section in this review for my FREE guide. Very low price during the launch phase ($19) when compared to the quality of the product and the money it will save you. Get It Here While Still At This Price! Professional and nice designs cover many different niches. It will save you the time instead of starting the designs from the scratch. It will save you the money instead of hiring designers. Can be easily edited with Microsoft PowerPoint, which means that you will save money, time and effort instead of dealing with Photoshop and other tools. Reselling rights that allow you to sell the whole package under your name and keep the money you get from that. You can use it for your own FB ads, or for designing image ad images for others. Great bonuses if you buy it during the launch. Click here to check if the bonuses are still available! There’s a satisfaction guarantee but not a money-back guarantee, which means that you might not get your money back if you ask for a refund. However, since it is a downloadable product, and the price is ridiculously low, that’s understood. The main PLR Package of the FB Ads Template Boss is sold with the bonuses at only $19 during the launch phase. FB Ads Template Boss Up-sell #1: Design Champion – $37 ($27 downsell if you don’t purchase it immediately) – One-Time-Fee. FB Ads Template Boss Up-sell #2: 38 Eye-Popping Ready-Made Logo – $7 – One-Time-Fee. Conclusion – Is Facebook Ads Template Boss A Scam Or Legit? The Facebook Ads Template Boss PLR is a legit product and is not a scam. The product is really useful and user-friendly as it will save you lots of time and money instead of designing the Facebook ads images from the scratch by yourself or hire expensive designers. You can also make money by reselling the package of the templates under your name, or by selling specific designs to others as a freelance designer. And the price is ridiculously low (only $19! ), this is why I recommend that you grab it with the bonuses before they raise the prices up, even if there’s no refund policy. As I mentioned earlier, many people with different kinds of businesses can benefit from buying the FB Ads Template Boss. But in case that you don’t have any kind of online or offline business, and your are not a freelance designer or marketer, but you are looking for a way in order to make money online, then you might be wondering if this is the right decision for you to purchase this product or not. Well in this case, I think it is better to guide you into learning about the best way of making money online, which is the same way I use. This 100% LEGIT & EVERGREEN method doesn’t require you to have your own product or service to sell, and doesn’t require a big investment. You can do it with Facebook ads or without them. In order to know what this method is, how it works and where to learn it, I invite you to read my FREE Ultimate Make Money Online Guide, which will explain to you everything you need to know before you start learning and applying this method. This guide will also lead you to the platform where I learned this great method of making passive income and the place where I found all the necessary training, tools, support and great community, and it is where you also can learn this method. This seems to be an interesting and useful product. I am always very skeptical about tools or templates to use on Facebook due to the copyrights issues, and in any case I find it difficult to use Facebook ads as I don’t have enough experience with it, especially that I need to have a good image and ad copy, which takes time to find. I will definitely give it a try as it seems exactly what I need. Thank you Barbra for the comment! Indeed, FB ads can be overwelming for beginners, especially that you can’t bid for the clicks, which means that the budget might get exhausted without any results. Many factors affect the performance such as the product itself, the targeting, the budget and the ad copy, and FB Ads Template Boss can help you in the latter. Nice, I think my next available dollar will be going to Facebook Ads Template Boss as I use FB ads for generating leads, and this PLR package seems to be really time save, and the price is ridiculously low. I’m really tired of hiring designers and paying every time I want to run a new campaign, especially that these can be edited with power point. I agree, hiring designers is costly if you run lots of ads, and it also requires time until they respond and deliver. Having such an PLR package of FB image ads templates is really useful and makes you life easier, especially that you can edit those. Wow, your statistics are fascinating. I had no idea that Facebook is so powerful. Ouf of all my social media accounts the one I put the least effort in is facebook. Well, that’s all about to change now. The templates look really great, at the moment I do all my graphics myself but I don’t mind a bit of help, to be honest. It’s so time-consuming and I just don’t have enough time! Thanks for the recommendation. I agree, I used to do the designs myself when I was doing FB ads for my dropshipping store, and it was really annoying as I needed to allocate a good amount of time on it, which would take from the time I can use to research new products. FB has been a very well known social media and it Ads are of a great advantage to small and medium scale or large scale business enterprise. There are many revenue generated and has been of urge advantage to online marketing.some day I will like to make use of FB Ads for my website. True, Facebook ads can be very effective for scaling up your business as you can do laser targeting based on the demographics. But of course you also need a good product or service to promote, good ad copy, split test different aspects before you get profitable and get the best out of it. Thank you for writing about FB Ads template boss! I found your article very helpful for me, especially with the insights and stats about Facebook audience and engagement, sometimes we forget the huge potential in it. P.S. Your make money online guide at the end of the review seems really great and helpful. 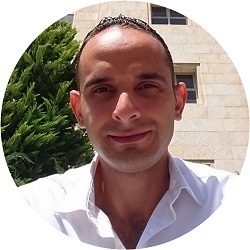 Hi Selim and thanks to you for taking the time and reading the FB Ads Template Boss review! I agree, people sometimes forget about leveraging Facebook for their business because the organic reach has dropped significantly. Using the ads properly and split testing the different elements of each campaign can be really helpful. I don’t think there is need for a refund for anyone who purchases the Facebook ad templates boss since the price is ridiculously low. don’t think this is a crappy product. At least you will be able to select graphics and the designs of your choice which suits your preferable niche. Statistics about FB was really helpful and mind-blowing. As a full-time internet marketer I do know the greatness of FB for business but after reading this stats I thought I need to focus more on FB. I am really happy to see there are some genuine make money online products still available. You left no stone up-turned in explaining how it all works. The walk through on the each Module is really helpful in knowing what we gonna get from this product and the bonuses are relevant and amazing. This product will be a greater help in my future FB ads campaigns. For sure this is on my list. Thanks a lot for the helpful and detailed review post. I agree, Facebook still have a lot to offer marketers even though it has become more expensive than usual. They is in having the right offer and right copy, and showing them to the right audience. Hi! Thank you very much for reviewing the Facebook Ads Template Boss. I appreciate the stats you have included here. I really didn’t know that women were more on Facebook than men. It’s good to know that stat when we’re making up our mind to start working with Facebook. I have looked at the examples and I find them super cool! I want to create my own pictures for promotions. But up to this point it has been a bit complicated. I’ll give Facebook Ads Template Boss a try! That’s great! Having ready to use and easy to edit images can save you a lot of hassle when creating Facebook ads. The product is really worth more than the price! This is a comprehensive and unbiased review that has got me interested. I disregard the fact of a non-refundable policy too, especially if the product is a high-ticket item. The FaceBook Ads Template Boss offers great value of what you pay. I may have to consider getting it as I am currently building a following on FaceBook to promote my online marketing business. Thank you for sharing and all the very Best for your Success! Thank you Paul for the comment! I agree, the price of the FB Ads Template Boss PLR package is really low and makes it worth investing. Thank you for this very interesting and educative post about the FB Ads template boss! I have heard about it before but I have not been able to find out if the FB ads template boss is legit or not. Your post have really cleared my doubt and I can now make an informed decision for myself. I am a graphic designer and I plan to go into blogging in the near future, I believe that the Facebook Ads Boss will be useful for my graphic design and blogging career.